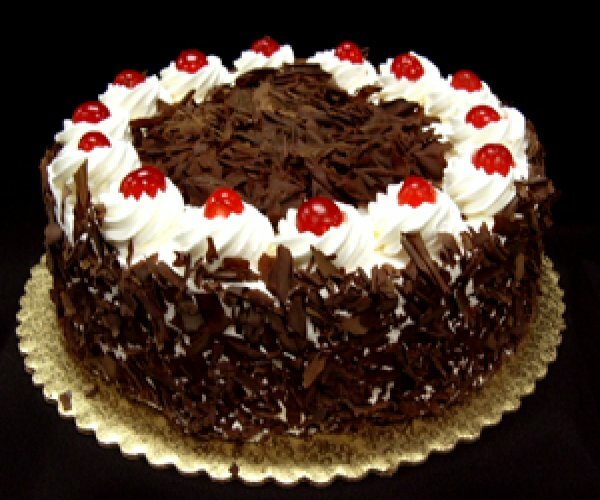 Black Forest Cake Has Multiple Layers Of Chocolate Sponge Cake, Cherries, And Whipped Cream. It Is Frosted With Whipped Cream And Covered With Chocolate Shavings And Cherries For Decoration. There Are Many Ideas On How The Cake Originally Got Its Name. Some Historians Say That It Is Possible That The Cake Got Its Name From The Traditional Costume Worn By Women In The Black Forest. The Dress Was Black (just Like The Chocolate Flakes), The Blouse Was White (like The Cream), And The Hat Has Red Pom-poms That Looked Just Like Cherries Called Schwarzwderkirschtorte In German, Which Means Black Forest Cherry Torte Or Gateau.